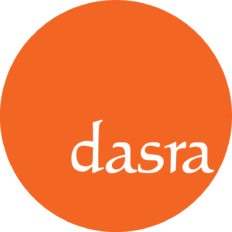 Dasra has been catalyzing India’s strategic philanthropy movement for two decades and has formed valuable partnerships with nonprofits, foundations and philanthropists to ensure that a billion live with dignity and equity. Prioritizing Lives In Philanthropy is the essence of Dasra’s vision to be ImpactFirst or impact-led, and pushes us to engage philanthropy towards transforming actual lives on the ground. This magazine brings you insights from Dasra’s own experience with strategic philanthropy as well as diverse perspectives from philanthropists, non-profits and other stakeholders who are working tirelessly to enable India to achieve its Sustainable Development Goals by 2030. Structured And Engaged Philanthropy Can Build Trust Towards Giving To India From The U.S.
Dasra has been catalyzing India’s strategic philanthropy movement for two decades and has formed valuable partnerships with nonprofits, foundations and philanthropists to ensure that a billion live with dignity and equity. Prioritizing Lives In Philanthropy is the essence of Dasra’s vision to be ImpactFirst or impact-led, and pushes us to engage philanthropy towards transforming actual lives on the ground. This magazine brings you insights from Dasra’s own experience with strategic philanthropy as well as diverse perspectives from philanthropists, non-profits and other stakeholders who are working tirelessly to enable India to achieve its Sustainable Development Goals by 2030.